A couple of amateur archeologists—one of them a 13-year-old—wielding metal detectors have found a cache of treasure from the 900s (you read that right) that once belonged to a “King Bluetooth.” This is a perfect story, featuring not just a teen stumbling upon ancient loot, but also a great new insult to lob at any douchebag who messes with you. 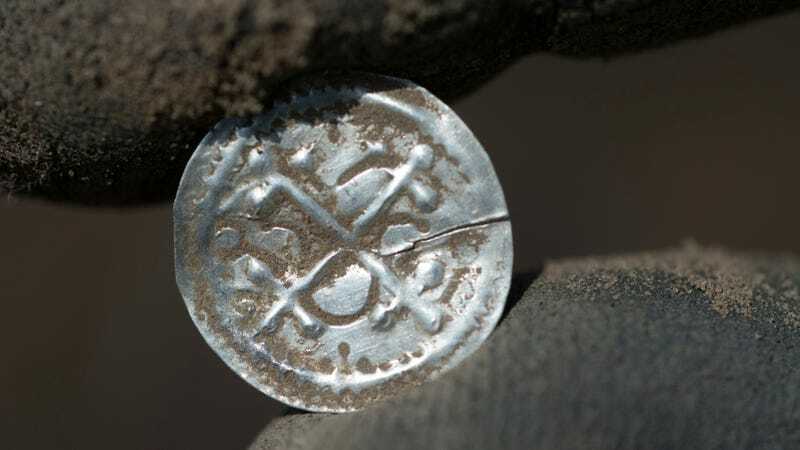 “This trove is the biggest single discovery of Bluetooth coins in the southern Baltic Sea region and is therefore of great significance,” said lead archaeologist Michael Schirren. Bluetooth was the nickname of Harald Gormsson, who ruled Denmark and Norway circa AD 958 to 986. And in fact the technology is his namesake, and the symbol are the runes for his initials. The more you know!